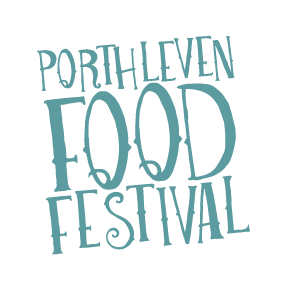 This year our Food Festival theme is Anti Plastic. Fantastic! That means we’re committing to helping protect our beautiful coastline and to producing a cleaner, greener festival experience for everyone. Across the site we’ve got speakers, artworks and lots of opportunities to get involved. We’re reducing our single use plastic consumption to help keep the sea plastic-free. We hope you’ll join us. All our official event bars will be using vegware cups and not plastic ones. These award-winning cups are low carbon, made from renewable or recycled materials, and can all be composted with food waste. We’ll also be using only paper straws. All our traders have signed up to our green traders’ charter. 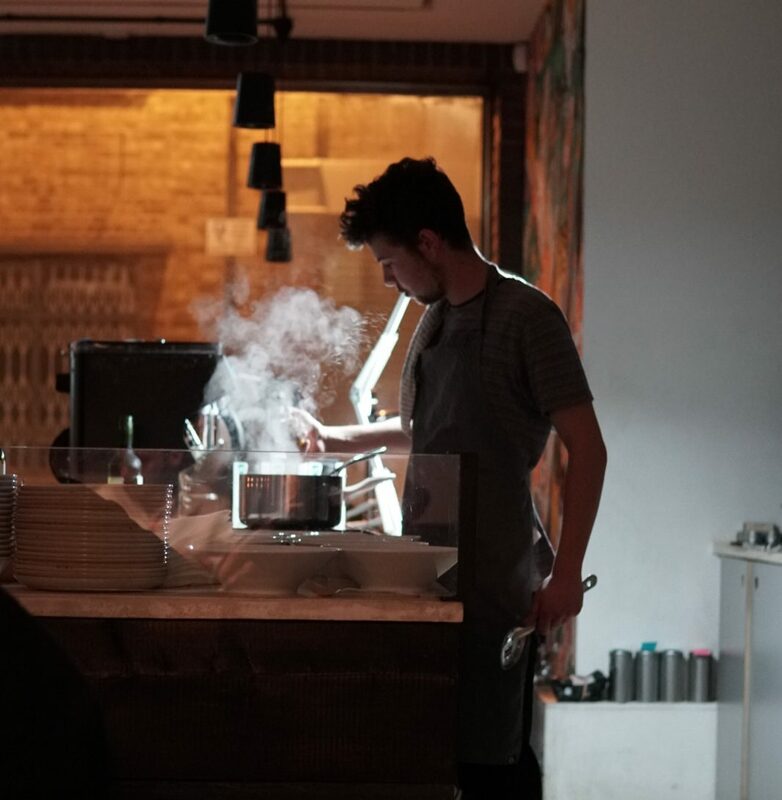 That means they’ve agreed to ensure all serveware (like cutlery, cups plates and boxes) is compostable; that items like sugar, salt, pepper and sauces will not be in single sachets; that they will use the recycling and compost systems provided and that no single-use plastic bags will be issued. They’ve also been asked to make every effort to source their food and drink sustainably and reduce food miles. When a group of volunteers took part in a recent harbour clean here in Porthleven they were shocked by the amount of plastic waste they collected. So they decided to take action and Refresh Porthleven was formed to offer ways to change habits and be less wasteful, ultimately reducing single-use plastics. 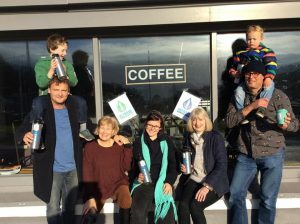 Meet our very own anti-plastic crew on the Family Field where they’ll have a water bowser so you can refill your reusable bottles and be selling their own branded reusable cups and bottles – a great souvenir of your weekend. You can also sign and take home your own anti-plastic pledge to commit to changing your habits around single-use plastic. Created by Surfers Against Sewage, the 30ft SAS Wasteland Warship highlights the growing threat of our throwaway plastic culture to our environment. 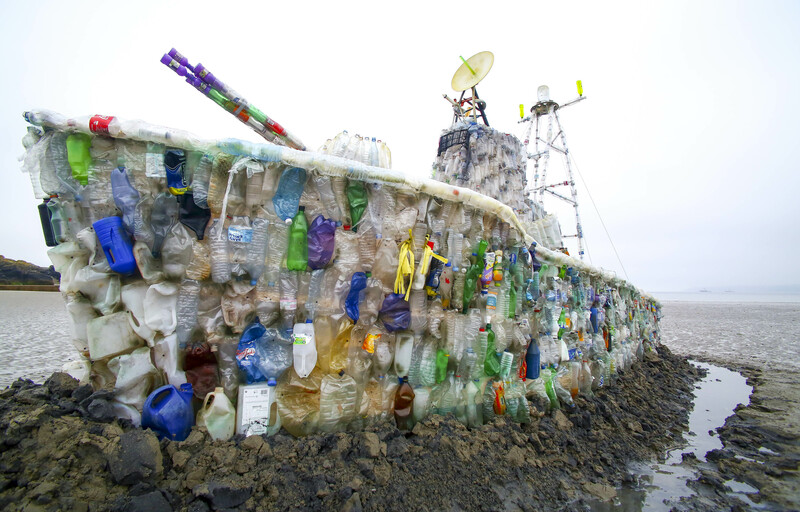 It is made entirely of waste plastic collected on beach cleans around the UK. Eco fashion designer and anti-plastic guru Linda Thomas joins us at Sunday lunchtime in the Literary and Acoustic Tent. As well as creating amazing luxury one-off pieces of upcycled clothing for private clients, Linda is also on a public mission to raise awareness of the issues of different items of waste through the creation of astonishing dresses including one made from discarded plastic bodyboards and one from escaped balloons. Her dresses will also be on display in the Lit tent throughout the weekend. Make sure you bring a bottle with your for water. As well as being able to refill it at the Refresh Porthleven bowser, you can also pop into a number of shops and restaurants throughout Porthleven for a free tap top up. 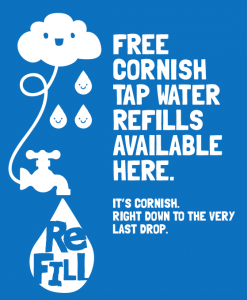 Look out for the blue refill sticker in windows or visit the Refill Cornwall website and download the app for more details. Are you Team Shark or Team Mermaid? Kids young and old can use their imaginations to craft a plastic-free or recycled fancy dress in the Sticky Fingers crafting tent on the Family Field. Join the fancy dress parade then sit down to watch Airfish Circus’s specially themed show. 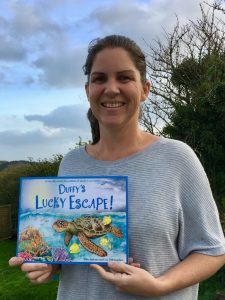 Children’s author Ellie Jackson (below) tells gentle, engaging true stories about animals that find themselves in trouble when their lives are affected by humans and our plastic pollution. They teach us all the importance of looking after our environment. Catch Ellie in our Literary and Acoustic tent at 3:15m on Saturday to find out more about her stories and how you and your family can help.